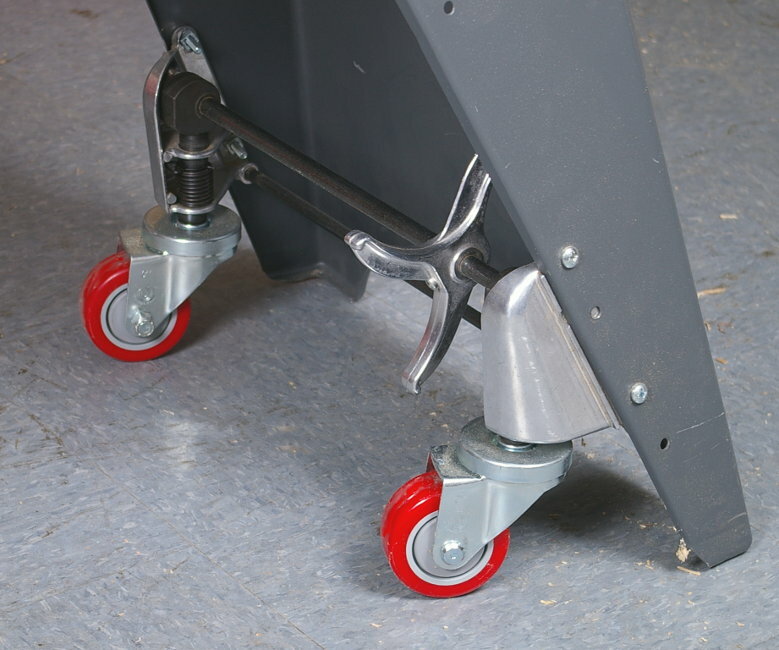 Shopsmith Premium Retractable Casters Make Moving Your Mark 7 or Mark V Around the Shop an Effortless Snap! These premium, rugged retractable casters have been made especially for the Shopsmith Mark 7 and Mark V. Prepare to be amazed as you roll your Shopsmith effortlessly from location to location. You'll glide over basement and garage floor concrete expansion joints with ease. Each set features big 3" diameter by 1-1/4" wide casters with polyolefin wheels that and rugged 3/8" steel axels that roll super-smoothly on sealed ball bearings. They swivel a full 360° for effortless directional changes. Shopsmith Premium Retractable casters include a paper template for drilling your bracket mounting holes and all the nuts and bolts you need to attach them to your Mark 7/Mark V's legs. Already Own Shopsmith Standard Retractable Casters? 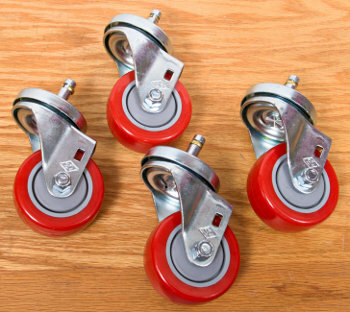 With the Shopsmith Premium Caster Upgrade you can replace the 2" rubber casters in your standard retractable casters with new 3" easy-rolling polyolefin ball bearing casters. Read more about the Premium Caster Upgrade here .